Rod Dreher’s 2006 manifesto, Crunchy Cons, was an inspiration (and provocation) to many, on both the left and the right. It wasn’t that the book was a tremendous intellectual break-through or an entirely new set of philosophical arguments about public life; on the contrary, it was, in the best conservative sense, an act of recovery, of putting contemporary names to and highlighting contemporary examples of sensibilities and examples–ones that favored local production, natural lifestyles, personal craftsmanship, agrarian communities, and political humility–which had a long history and which had long been pushed to the sidelines by the dominant “conservative” discourse in this country. As rarely as I agreed with Dreher on specific political matters, the topics he focused on were ones that I felt great sympathy for; hence, I found myself drawn into his intellectual orbit, and I’ve been following his writings ever since. 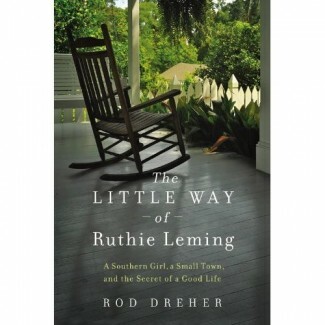 Now, Dreher has a new book out, The Little Way of Ruthie Leming: A Southern Girl, a Small Town, and the Secret of a Good Life. It’s a wonderful bit of writing–part biography (of his younger sister Ruthie, who died cancer in 2011), part memoir (of his own relationship with Ruthie and with their parents and with the tiny town they both grew up in–Starhill, near St. Francisville, in West Feliciana Parish, Louisiana–from which he left and she remained), and part reflective essay on the mysteries of the ties we feel–and sometimes embrace, and sometimes reject, for reasons both good and bad–between our family, our friends, and the places where we all live. I read it a rush, beginning it last Friday, finishing it on Sunday. I was drawn into this wonderfully readable work in part by the author’s voice, of course; Dreher is a fine writer (if neither the most literary nor the most scholarly; the man is a journalist first and foremost), and the observations he makes of our mores and motivations are usually interesting, and often wise. But more, I was drawn into the sad and ultimately quite spiritual story he told. Dreher was blessed by his history with, and his love for, his sister Ruthie, and in this book he shares that blessing with all of us. As with any book at least that is at least partly essay–that being the most subjective of genres–the message or feeling which will be carried away from the book after a reader turns its final page will vary greatly. For myself, I was struck, first of all, by how very Christian the story is, and how very Christian many of its characters and their motivations are. Of course, anyone who is familiar with Dreher’s writings are aware how important his own religious struggles to his life story have been, but I was fascinated to see how much of this is truly essential to his character. As the story he tells relays it, he is a man who receives impressions, and who discerns meaning in iconic images and dreams. And it’s not just him; other people he describes are sensitive to portents, or burst forth with great sermons, or display amazing spiritual gifts. I don’t mean to suggest that Dreher’s portrayal of himself or any number of the other wonderful characters he describes in the book is simply mystical; on the contrary, there is a lot of doubt and despair in this book as well. Still, a Christian spirituality–of suffering and sacrifice, of charity and forgiveness–suffuses the whole work. If anything, I suspect Dreher would probably point to the influence of his sister’s example on his faith life, and how her simple faith, and the way her struggle with cancer threw that simple faith into a sharp relief for all to see (a constant refrain in the book is how serene and hopeful Ruthie is in the face of her devastating illness), thereby casting the thoughts of everyone who knew her–not just Dreher, but really, their whole extended family and large portions of the communities of Starhill and St. Francisville–back onto the spiritual longings which many would insist are inextricably connected (whether they are consciously recognized or not) with being human. If that seems like a profound, weighty insight to derive from the happy life and tragic death of a 42-year-old public school teacher, well, you’d have to know Ruthie. And that is my second primary observation about the book: Dreher does a fantastic job bringing to life a person who he explicitly calls a kind of saint (though, as he also clarifies, “not a goody-goody”). Ruthie Leming was one of those essentially decent people, someone with great reservoirs of generosity and enthusiasm and kindness. As a resident of Starhill, she was reliable source of compassion and fun; as a school teacher, she was devoted and patient instructor and counselor and an inspiration to her students. 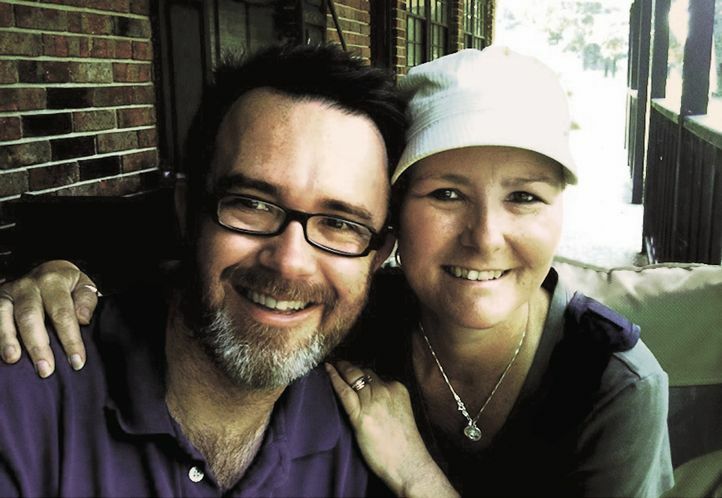 Most of all, to her family and friends, she was a light–always someone willing to take the time to talk, to laugh, to dance, to gently poke fun, to pitch in and volunteer and serve. The incidents that Dreher meticulously records in this book add up; even if there is–as there likely has to be–some element of exaggeration and selectivity at work, one can’t come away from this book without deeply wishing that we, too, could have know his Ruthie, and enjoyed her meals and joined in her outings and sent our children to her classroom to be taught by her. (The way old students and colleagues of hers reached out from great distances–California, Minnesota, Texas, and more–to be part of effort to support her struggle, and to mourn her after her death, is a tremendous testimony to the grace and infectious joy of her life.) And this goes for the communities of Starhill and St. Francisville as well. This book isn’t a demographic study of West Feliciana Parish, and so while Dreher does refer occasionally to the poverty, drug abuse, and marital dysfunction and discord to be found throughout their communities, he obviously emphasizes the positive elements of this–by all accounts–gorgeous and culturally rich backwater corner of the American south: the Cajun food, the music, the relative lack of crime, the social trust in times of emergency, the beautiful flora, the crazy personalities, the long and happy memories. Whatever he may have elided in painting this picture, what’s important is that Dreher convincing shows himself as recognizing–and convinces his readers (or convinced this reader, at least) to similarly recognize–that it was, to a great extent, through the faith and grace and good works of his loving sister, and so many other uncomplicated souls like her, that all these positive attributes were there to be enjoyed. The unity between Ruthie and her neighbors and little beloved place in the South becomes, through Dreher’s words, total–and totally believable. I once asked Paw why, given that he was feeling sick that day, he was planning to go to the funeral of an old woman he didn’t know well. It’s hard to know these things, much less find the wherewithal to behave this way, if you haven’t lived in a place for years and come to make its stories part of yourself. Absence has consequences…. Those of who have moved away are not necessarily callow and ungrateful people. We live in a time and place in which are conditioned to leave our hometowns. Our schools tell our young people to follow their professional bliss, where it takes them. Our economy rewards companies and people who have no loyalty to place. The stories that shape the moral imagination of our young, chiefly by film and television, are told by outsiders who were dissatisfied and lit out for elsewhere to find happiness and good fortune. During the decade leading up to Ruthie’s death, I had spent my professional life writing newspaper columns, blog posts, and even a book, lamenting the loss of community and traditions in American life. I had a reputation as a pop theoretician of cultural decline, but in truth I was long on words, short on deeds. I did not like the fact I saw my Louisiana family only three times a year, for a week at a time, if we were lucky. But that was the way of the world, right? Almost everyone I knew was in the same position. My friends and I talked a lot about the fragmentation of the modern family, about the deracinating effects of late capitalism, about mass media and the erosion of localist consciousness, about the consumerization of religion and leviathan state and every other thin under the sun that undermines our sense of home and permanence. The one thing none of us did was what Ruthie did: stay…. I knew St. Francisville’s shortcomings…But Ruthie transfigured this town in my eyes. Her suffering and death made me see the good that I couldn’t see before. The same communal bonds that appeared to me as chains all those years ago had become my Louisiana family’s lifelines. What I once say through the melodramatic eyes of a teenager as prison bars were in fact the pillars that held my family up when it had no strength left to stand. The cynic will respond, of course, that not everyone torn over the conflict between professional advancement and family togetherness, or between personal growth and community connection, will be graced with the kind of spiritual conviction–in this case, one that came by way of participating in a kind of religious passion, as the suffering and death of a beloved family member and friend made manifest the better part of belonging–which the Drehers experienced over which way they should go. But such a cynic would be trying too hard. Drerher–at least to those readers who know him well–recognizes that he’s not instinctively a content communitarian (he loves his travel and his technology much too much for that), and can’t honestly wish to turn everyone into such; indeed, he makes it explicit in this book that he thinks there are seasons to every person’s life, and that coming and staying both have their place. All he intends to do here is witness (with all the important that word conveys) that he, through Ruthie–a sister he loved and tried mightily to understand and loved anyway, even in his failure to fully do so–was able to see the season before him, the season to take his family home to a community and web of family and traditions that gave his life an authenticity and meaning that they needed. That witness, in my view, comes through strongly and well. Is it a perfect book? Probably not. All questions about narrative choices aside, I would have liked to have heard more from Dreher’s wife Julie, and how she experienced this profound realization in their lives. He does quote her occasionally, but I wanted more; Julie is, as it comes out in the book, a child of perfectly conventional middle-class Dallas suburbs, and her perspective on the environment, the traditions, and the protective, somewhat insular communities of West Feliciana Parish, might have made a nice touch. And, given my own interests, I’m also sorry there isn’t more politics in the book. There are, to be sure, a couple of references to political and economic arguments, but they obviously weren’t relevant to this very intimate, family story (though I suspect, on the basis of the occasional aside in the book, that at least one element of the long-standing–but never directly expressed–tension between Dreher and his sister was the way his highly intellectual, somewhat elite, and very contrarian conservatism–opposed to the Iraq war, wary of public institutions, intensely focused on the moral health of America–may have clashed with her and his extended family’s no doubt much more conventional, populist, and evangelical views). Finally, Mike Leming, Ruthie’s husband, despite the Dreher’s best efforts, remains a bit of an enigma; I feel like, as a reader, I see their daughters and their feelings–particularly that of their oldest, Hannah, with whom Dreher has developed a tight bond–more clearly than we see his. 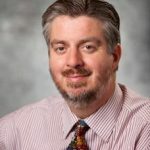 But Mike Leming is presented from the beginning as a very quiet, introspective, private man, so perhaps this simply couldn’t be helped, and we should be grateful that he opened up to Dreher as much as he did. My final word on this fine book is simply this: it is the best story about home, family, and community I have read in a long, long time. When I next teach my “Simplicity and Sustainability” class (next fall), I’m going to present it alongside other memoirs like The Dirty Life or Better Off, not mention classics like Walden, as a way to help my students understand that these “little ways”–ways of tradition and connection–really are available and out there, and aren’t just romantic dreams. I can’t (and wouldn’t want to!) create in my students’ hearts the kind of spiritual anguish which powers Dreher’s book, but I can, I hope, suggest to them that his realization, whatever one may think of it, is not an exclusive one. On the contrary, little towns with their own Ruthies are out there, and perhaps are, in fact, right in front of our eyes. Most of all, I appreciate very much Rod Dreher sharing with all of us how he came, at this particular moment in time, to see what was there to see. May we all, in our own places, do a little bit of the same. This is a fine reflection. Thank you, Dr. Fox. Really looking forward to reading this. Thanks for the review!